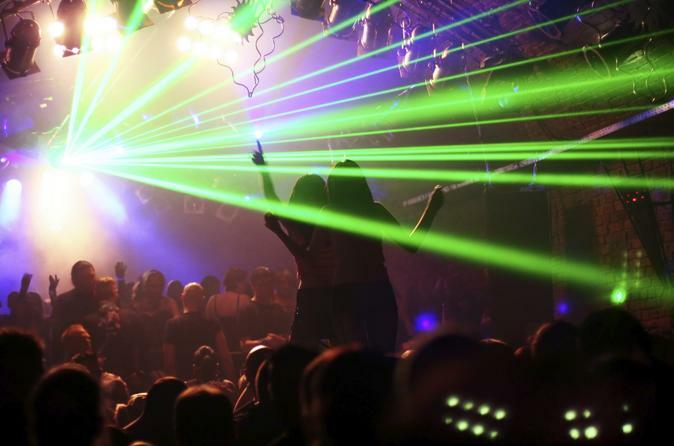 Party the night away in the city that never sleeps on this weekend tour of some of New York City's hottest nightclubs. Bypass the velvet ropes with skip-the-line access to the VIP area of premier clubs such as Lavo, the Cellar Bar, Pasha and Pink Elephant. Indulge in your three included drinks (venue's choice) as you keep your eyes open for celebrities, dance and soak up the atmosphere of New York's vibrant nightlife scene. This is a no-stress way to discover the city's top clubs and kick off an epic night out on the town! Minimum age is 21 yrs due to licensing regulations. ID required. Dress code must be followed. Three drinks (cocktails or Prosecco/Champagne) are included in your tour price, and you're welcome to enjoy more at your own expense. Your 4-hour guided nightclub experience ends at one of the clubs where you can continue the New York party on your own.